Holly Easterby is a fashion stylist who says that dressing babies is one of the most exciting things that she does at her job. She shares kids fashion tips at Bonza Brats as well as parental tips in blogs like this one. In this article, she will be telling you some tips on how to increase breast milk production. Mothers are encouraged to breastfeed their babies. Why? Breast milk is said to be a whole lot healthier than cow’s milk. Consider this your baby’s extra dose of protection against common illnesses. But some circumstances may create worry about your supply. If you are in this situation, why not try the tips below. Make it frequent. Your body won’t make more milk if it senses that you are not feeding often. Instead of waiting for baby to cry, signaling when this is already hungry, what you can do instead is to offer your breast for feeding before that happens. The more frequent your baby feeds, the more that your body responds by increasing milk production. Routines don’t work. There is no such thing as breakfast, lunch and dinner with babies. They will feed anytime of the day or night and won’t wait for you until you’re ready. If you can, then be available for your baby 24 hours a day. It will be easier to feed when you are always close by. Offer both breasts during feeding. You have two breasts not just for asymmetrical reasons. If you are a nursing mom, the other breast will act as your extra milk feeding supply. As soon as you notice your baby slows down feeding, offer the other breast immediately. Ideally, the whole routine should be done twice in a single feeding. Using both breasts to feed your baby will teach your body how to produce more milk on both sides. Invest in a high-quality pump. Now if you are a working mom, you probably won’t be able to bring baby to the office with you unless the company you’re working for will allow you to. Since you won’t be able to feed your baby during the day, trick your body that you are feeding even if you are not. A breast pump should do the trick. Do this every two hours for at least 15 minutes. Use a high-quality breast pump since this will let you pump your breasts better than the cheaper ones. Lessen use of pacifiers and milk formula. The goal of breastfeeding is to let baby feed with your own breasts. A baby that feeds on bottles and is always sucking a pacifier may end up preferring these than getting milk from you. As mentioned earlier, your milk production will also be based on the frequency of breastfeeding. If you plan to use combination feeding, then at least make sure that baby feeds more through breastfeeding than the bottle. Unload excess emotional baggage. Stress can wreak havoc on the way your body works. For moms, this could be equivalent to lesser milk for your baby. If you are constantly worried or have negative feelings about something, try to resolve this the soonest time possible. Practice stress buster routines such as meditating to help your body relax. Taking in fresh air outside the patio should also help you with tight muscles. Have a special nursing day with your baby. Have a vacation with your baby in bed, doing nothing but breastfeeding. Let your baby feast on your breast milk for as frequent and as long as he wants. You can even do this lying down while taking a nap. This should jolt your body to produce more milk. Feed baby without his clothes. Skin to skin contact can encourage baby to feed even more. Keep baby's back covered with either a blanket, towel or in your shirt. To make the most out of the skin contact, use a shirt that opens all the way down and remove your bra too while baby is feeding. 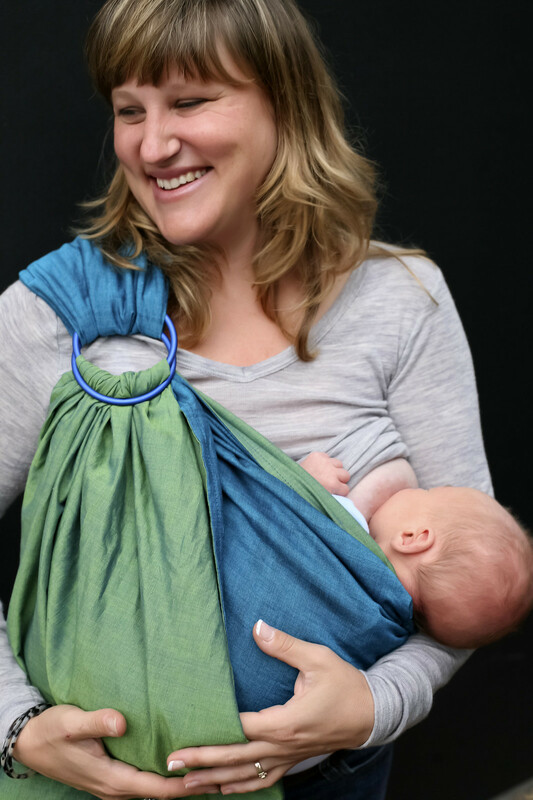 A shirt made for skin-to-skin can be a lifesaver! Consider using a baby carrier. Some babies tend to feed more when they are closer to their moms. Wear your baby for this purpose. As an additional tip, you can move around the house while breastfeeding. Some babies like to feed while being rocked with their mom’s movements. Hydrate your body. Milk is fluid coming out from your body. You can’t expect your body to produce more if you are running low on fluid. Drink a lot of water during the day. Remember that breastfeeding can sap out your intestines of fluids too. Drinking water should prevent you from suffering from constipation and hemorrhoids. Garlic milk is given to moms as a traditional remedy in increasing their milk. Studies have proven that consuming garlic could benefit both mom and baby since it can induce longer feeding times. Consume it on its own, or add it to your favorite dish. Holy basil. This herb will taste great with tomato sauce and pasta. Alternatively, you can consume this as tea with honey. But more than its heavenly taste, holy basil improves milk supply, as well as provides you with vitamin K.
Green vegetables. Green vegetables are nutritious and could help you with milk production. These contain significant amounts of B vitamins and irons, both of which help your increase your milk. Red vegetables. Eat a variety of vegetables of the red kind too. Beetroots, carrots, and sweet potatoes contain beta-carotene, beneficial when you are breastfeeding. Some of these are high in iron like green vegetables too. If you are going to satisfy your cravings during the day, then consume nuts instead of junk food. It will get rid of your hunger as well as increase your milk too. Butter and oils. Cook with healthier oils like sesame oil, olive oil, or flaxseed oil. These are said to be great for nursing moms. If you need an instant boost in energy, small amounts of coconut or butter should do the trick. *This article is not intended to be medical advice. If you feel your milk supply is low you may want to consult a lactation consultant for help.